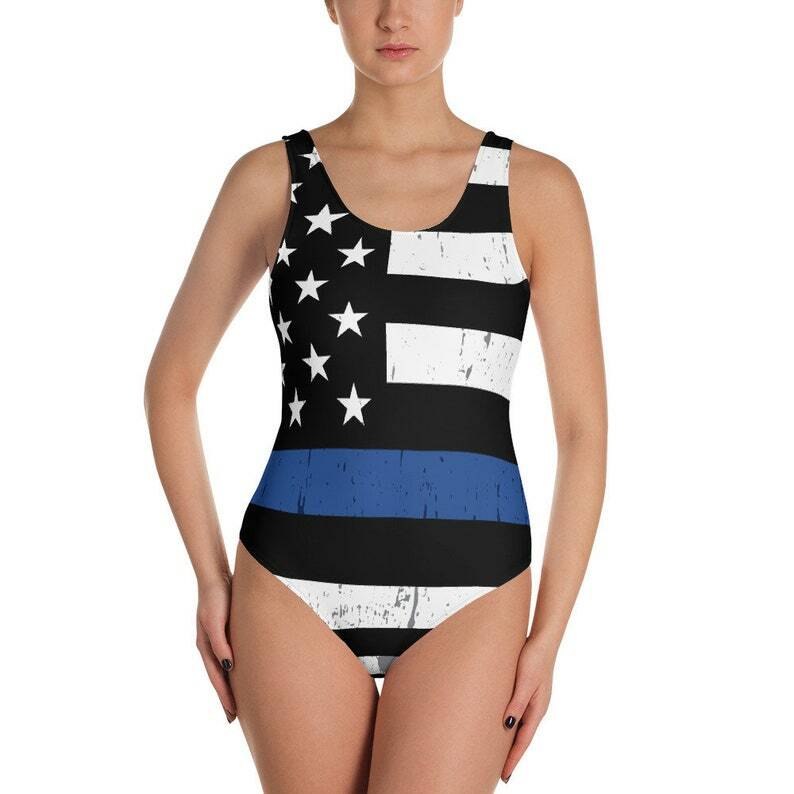 The water is blue, the thin line is blue, so it only made sense to design the Thin Blue Line Flag one piece. This one-piece swimsuit for all figures will bring out your best features. Enjoy the smooth fabric and the flattering design, and show it off by the sea or pool, or really freak your sarge out and rock it in your shift lineup. Two piece version coming soon!